Everyone is occasionally struck by the keen desire for something new, delicious and exciting for dinner. When that urge hits you, if what you are looking for is a delicious, authentic option for a Chinese restaurant in the greater Chicago area, China Chef should be on the top of your list. This family-owned restaurant has been around for decades, which is a true testament to the dedication of the founders and all the staff. Founded all the way back in 1977, the owners, Joyce Fong and Arthur Fong, made a commitment to serving only the most delicious Chinese food, using good ingredients and making everything fresh for their customers. They wanted to provide Chicago diners with an option for authentic, home-style Chinese cuisine. To that end, they prepare dishes in several different styles, including Cantonese and Filipino cooking, and have several dining options. So whether you want to eat in a beautiful atmosphere at the restaurant, or have a delicious, reasonably priced, fresh option for carry out, China Chef has something for you. 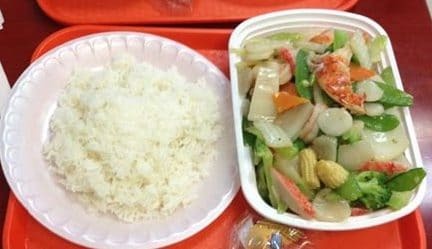 This entry was posted in China Chef on January 8, 2019 by Feedback Survey Rreviewer. As a lover of food, especially food from other cultures, I find authentic Chinese food delightful and incredibly interesting. However, as a vegetarian, some Chinese restaurants do not offer a great range of options. I recently discovered a restaurant called China Chef, near Chicago, and want to share my discovery with all of my fellow herbivores. Are you tired of seeing the exact same items on the menu every time you order Chinese food? Well, China Chef may be the answer to your prayers! If your mouth is watering after reading this article, you can find their take out menu at www.chinachef.org. Chinese restaurants are common all over the United States, including the greater Chicago area. However, diners who would like to taste different fare have an option at China Chef, which offers a host of traditional, authentic Cantonese and Filipino dishes. While Cantonese cooking is heavily featured in North American Chinese restaurants and take aways, China Chef endeavors to create authentic dishes that may not feature on the average menu. Adding to that the twist of including Filipino recipes, and China Chef can certainly boast about having a unique selection of flavors and dishes. If you are located in the greater Chicago area, the next time you are looking for a venue to please your friends or impress your boss, consider China Chef. Just North of downtown Chicago, China Chef has a long history of serving delicious food to satisfied customers. With several options for providing Chinese food at events, they will be able to work with you to wow your guests and colleagues while giving them something a little different.